One of my favorite holiday activities is decorating my [faux] alpine Christmas tree. You see, we always put up two trees, one is [faux], the other is fresh cut of course. 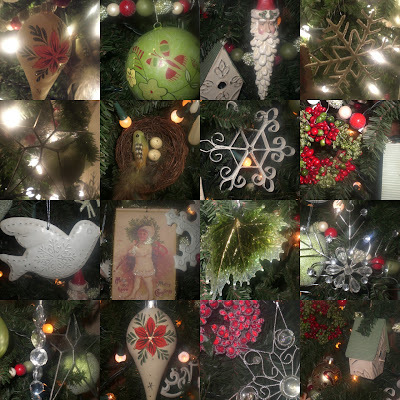 The kids help me decorate the fresh tree with all of their handmade ornaments and our favorite family ornaments. I, however, decorate the [faux] tree all by myself and it gets the pretty, delicate and fragile ornaments. I love opening up each of the tissue wrapped decorations because it is much like unwrapping a present. I forget over the year how beautiful and lovely each of them are and I get almost giddy as I rediscover them one by one.